Eden Prairie, MN is a beautiful community with quality schools. It is the kind of place where couples want to stay and raise a family. Bannochie Builders, Inc. can help you to renovate your home to make it more enjoyable for your family. We provide Quality Home Renovation Services that pay off big time in Functionality and Comfort. The Licensed Contractor that you hire for your home remodel makes a big difference. Poor workmanship shows in the details and value that you receive. We use only top quality materials and provide highly skilled craftsmanship. We can help you to transform your home with a Value Adding Renovation. There are many options available to Eden Prairie, Minnesota homeowners that want to Add Value of their home. Bannochie Builders, Inc. can custom tailor any home improvement project to match your taste. We will sit down with you to discuss the outcome that you are trying to achieve and provide suggestions to maximize your space and stretch your remodeling dollars. You will always be kept in the loop and informed of our progress along the way. We strive to make the entire remodeling process a clean and pleasant experience. 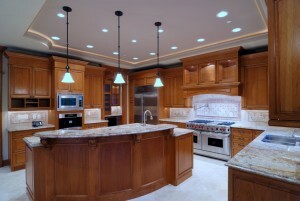 There are many quality home remodel services that Bannochie Builders, Inc. provides. We stay educated on which types of renovations and home additions will add the most value to your home. The most important factor however, is creating a space that you will love. That is when a home renovation pays off the most. Here is a handful of solutions that can make your more enjoyable, inviting and Add Value. Bannochie Builders, Inc. is a Licensed Remodeling Contractor with 20 years of experience in the Eden Prairie, MN area. We provide High Quality Home Renovations that can make you Love Your Home. Our Value Added Renovations can be custom tailored to fit the needs of your family. Let us show you how we can stretch your remodeling dollars. This entry was posted	on Wednesday, February 11th, 2015 at 8:51 pm	and is filed under Home Remodeling. You can follow any responses to this entry through the RSS 2.0 feed. You can leave a response, or trackback from your own site.